Where property management meets science. Keeping a rental property healthy starts at the very beginning, with a great tenant. We syndicate listings to more than 50 different websites to capture the attention of potential renters in our area. Every application we receive undergoes the same strict screening process, which includes a full financial and background check. Once we vet the tenant, we turn to our property owners for the final say. Forget worrying about the complicated legalese that governs the tenant—landlord relationship in California. Our foolproof lease drafting protects our property owners and respects all legal obligations. Every property we manage undergoes regular inspections, ensuring the home says in great shape. Don't leave the health of your investment up to chance—partner with a team that proactively identifies potential problems. From plumbing headaches to furnace fiascos, we handle ongoing repairs and maintenance for every property we represent. Our team is ready to jump into action at a moment's notice, keeping your home safe from damage. Tired of chasing after tenants who fail to pay their rent in a timely fashion? We handle the hassle for you, enforcing rent collection deadlines and following up with tenants who fall behind. We embrace new technology to automatize ongoing property management tasks. Our convenient tenant portals keep your renters satisfied, while allowing us to keep costs low and pass along the savings. Crunch the numbers day or night with our comprehensive earnings reports. Easily access your portfolio's records by using our online owner's portal. Available 24/7, you can monitor your property around the clock. We keep turnover low by keeping tenants satisfied, but when a renter does move on, our team takes over. We restore your property to rent-ready condition, handle move-out chores, and find a new tenant fast. We don't lock owners into a long term contract. Our clients stay with us because we do a fantastic job, not out of fear of legal or financial headaches. Our agreement can be cancelled at any time with a 30-day notice. No penalties, no extra fees, no hassle. Check out our 7 Point Guarantee here. From Riverside to Corona and Anaheim Hills, we've tailored our unique property management strategy to address the needs of property owners in the Inland Empire. Our team works diligently to exceed expectations, using our in-depth understanding of the local area to rent homes quickly, provide knowledgeable guidance, and price rentals according to fair market value. 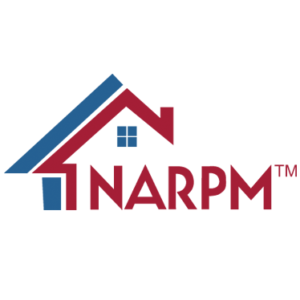 We're not a chain of impersonal property managers trying to use outdated ideas to turn a profit in Southern California. Formatic Property Management, Inc. is a one-of-a-kind property group that has helped generate impressive economic gains for countless landlords across the region.